Feeling overwhelmed at the idea of learning Game Audio? You are not alone! Game Audio encompasses all audio disciplines that individually can take a lifetime to master. Have no fear! 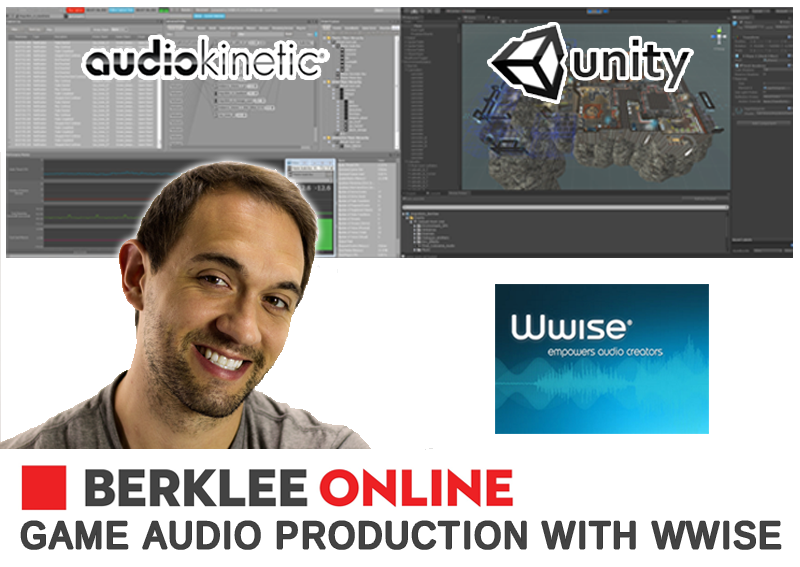 I am here to guide you on your quest for Wwise and Game audio knowledge in the Game Audio Production course at Berklee Online. This course treats the project as if it was a real world assignment. It covers setting up your system, pre-production, making a mock-up, creating ambience, sound design, foley, adaptive music using Wwise, working with dialogue, mixing, and getting a gig! These are the same steps I’ve gone through on almost every project over the last 10 years so you can be assured the skills apply to future jobs. The course enables you to dive into the Unity game Angry Bots and award winning hit Limbo to create your own immersive sonic experiences! Guidance is provided through the whole experience there are chats and discussions. This prevents roadblocks on your path to success which is critical when learning a tech heavy skill such as Game Audio. As you can see from the reviews, if you want to work in the industry and create compelling sound in Game Audio for a living, this course will give you a huge leap forward in getting there! If you have any questions about the course, or game audio in general, leave a comment and I’ll reply ASAP. Michaela Brunovská on How to break into the professional audio industry – Find and keep your first video game jobs and recording studio jobs. © TrendyTheme 2015. All rights reserved.